Whether it’s your job, money worries, relationships or problems with health and nutrition, a recent study by the American Psychological Association cites that stress is not only on the rise but also currently costs U.S. employers $300 billion annually in stress-related claims and missed work. Nor is it just professional lives that are suffering; the common symptoms of fatigue, anger, depression, tension and nervousness wreak havoc on the homefront as well, potentially leading to substance abuse, chronic illness, reckless behaviors, and withdrawal from family and loved ones. So what can we do to reverse the damage all this angst is causing us and learn to approach life with a healthier body and a more positive mindset? 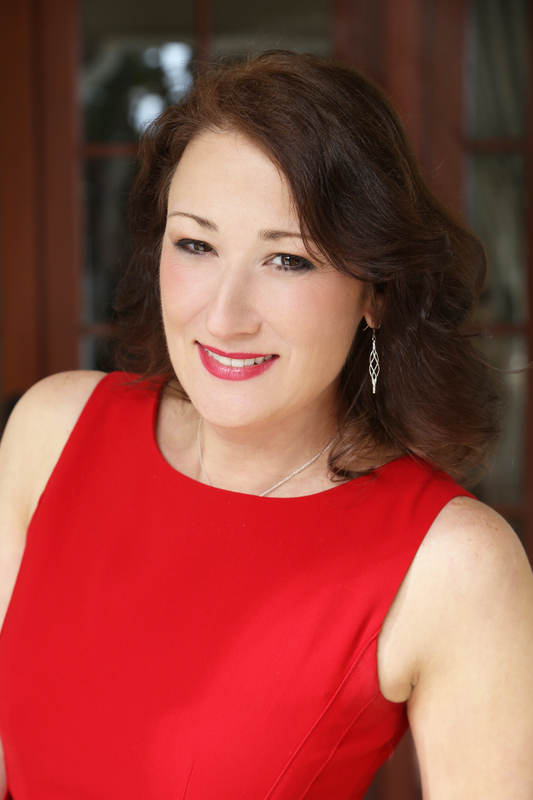 Author Kathy Gruver, PhD shares insights as she talks about The Alternative Medicine Cabinet. Q: For starters, how did someone who started out as an actress in Pittsburgh end up as a health writer and practitioner in California? A: Even though my childhood dream was to pursue a life as a performer, the healing aspect was always a parallel path. I started doing massage when I was about five. I would massage my dad’s neck on long car trips. Students in high school would always sit in front of me and ask me to rub their shoulders, as I was so good at it. I apprenticed with a healer in college, very accidentally I might add, who taught me that I was not only good at massage and healing but encouraged me to pursue it as a career. When I arrived in Hollywood I studied further, thinking massage would be a great way to make money while I was pursuing my acting career. And it stuck and eventually overrode my desire as a performer. When I finally left Los Angeles in 2000 I had a choice to make as to what I would pursue for the rest of my life. In Santa Barbara, I had taken a very high-paying production job. When it fell through after about seven weeks, I realized that healing was the path I wanted to take and proceeded full time. I studied more massage in Santa Barbara and started my own practice. I then pursued further degrees with my Masters and PhD following suit. I started writing books, speaking locally and then nationally, more and more radio and TV interviews, my first book was turned into a TV series and I find myself here and now with a career I never dreamt of. And who knows what the future holds. Q: What did the acting profession teach you about stress, anxiety, jittery nerves and how to manage them every time you performed in front of an audience? A: I never really got stage fright; I was always very comfortable in front of people on stage. It was off stage that made me nervous, walking in to classrooms late, that sort of thing. What made me most nervous was singing. I had a very, very horrible experience with an audition when I was in ninth grade and it took me years to get over it. It was a long time before I would open my mouth and sing in front of people. When I had my first big solo in a show, (I was Audrey in Little Shop of Horrors) I was a nervous wreck. But somehow I just managed to get through it. I had tons of support from the cast and knew I wouldn’t have gotten the role if I couldn’t do it. I wish I would’ve known some of the techniques I know now it would’ve made life a lot easier. Q: To take an even earlier step back, much of your childhood and teen years were spent as an only child whose mother battled cancer for nine years. How did that affect your formative years, and ultimately inspire your future work in healthcare? A: It was hard; there are a lot of things I was doing that my mother could not be a part of. Because she had trouble sitting, many of my shows and dance recitals were missed by her. So there was a lot of longing to have her attention and acknowledgment that I just never was going to get. Being that I had no thought at that point of doing anything with my life concerning medicine I never really considered it. I did wish for and investigate other options for her healing. She was trapped in the cycle of chemotherapy, radiation, and surgery. To no avail. In fact, I found out many years later that it was those treatments that led to her death. The cancer never would’ve spread and killed her. It certainly made me grow up a lot faster and be responsible for things in my life that a normal kids that age wouldn’t have. It also taught me compassion and patience for someone who was sick. I didn’t always show that with my mother unfortunately, but now I have certainly adopted that for my clients. My father was also an incredible caregiver and very patient with my mother. That taught me a lot as well. Q: There’s no question that technology has increased our capacity to get things done, invited us to “chat” with individuals across the breadth of the planet, and enabled us to look up virtually anything we’d ever want to know without even leaving home. On the flip side, it has also escalated our impatience, made us more insular and heightened our levels of stress. Why is that? And what should we be doing to counteract the short- and long-term damage? A: The technology thing is pretty ironic. We now have the ability to talk to people around the world but can’t say good morning to our neighbors. I find it incredibly frustrating that we have these abilities to communicate but can’t go back to the common niceties of saying “please” and “thank you”. And I think because we have constant access to computers, cameras and phones that we no longer have an opportunity for silence. Whereas before, waiting in line for something would’ve caused us to stand silently by ourselves or talk to our neighbor. We are now immediately looking down into the world of technology. We think we’re saving time but are we just driving ourselves crazy? And being that we have constant access to work or business, I think that is heightening our stress level. Because people can respond in a blink of an eye, we expect them to. So for those people that don’t, others get impatient and irritated with them. We wonder why on a Saturday night at 11 p.m. they haven’t responded to the email yet; I mean clearly it’s in their hands they should’ve responded. And I don’t know if there’s any way to counteract this. I think this is just our society now and until we see a shift in our mindfulness practices and our ability to say no and set boundaries, we are going to be stuck dealing with these issues. Q: In your opinion, who’s better at dealing with stressful situations – men or women? A: Oh, it goes both ways. I think women take stress more personally, but they’re also more open to the techniques that may help them deal with stress. Men can often get their stress out with things like sporting and competition, but are less apt to want to sit down and learn meditation and visualization. At this point I think it’s really an individual thing and it’s up to the individual to find techniques that are going to help them deal with their stress in whatever way works for them. Q: Stress throughout the day often makes it a challenge to fall asleep – and stay asleep. What are your best tips for putting tension on a time-out so your batteries can recharge by morning? A: Poor sleep is one of the large indications of stress. Doing things like a brain dump where you write all of your stressful things down ahead of time and promise to do it in the morning is one way we can assure ourselves a good sleep. Making sure the sleep environment is optimal including a dark, quiet room and little distraction is also important. Sometimes we wake up and our brain goes crazy with repetitive thoughts of problems from the past and worries about the future. I like using affirmations for this and thinking something like “I fall asleep quickly and easily, I wake up feeling refreshed.” It normally programs our bodies for good sleep but it shuts out other thoughts that are interfering as well. Q: Let’s talk about some of the correlations between diet and stress. For instance, our grandparents and great grandparents – especially those that worked on farms – tended to eat a lot of foods that would make today’s nutritionists shudder and condemn as “unhealthy.” Yet, oddly, many of these individuals lived well into their 90’s without being debilitated by high levels of stress. Thoughts? A: I think the key is going back to real food. If it comes in a colorful cartoon character filled box it is not good food. In most cases it’s not even food. It’s a food-like product. Organic is definitely best and avoiding package processed foods, GMO’s, high fructose corn syrup and artificial components are going to be the most important things in keeping nutritional stress out of our systems. One of the few things we can control is what we’re putting in our mouths. And since you refer specifically to farmers, I’m assuming you were talking about things like milk, meat, cream, butter etc. Frankly I would rather see someone eating those things in the natural form rather than the packaged stuff we have today (except the milk; don’t think we should be drinking milk). Also those people were incredibly active and not stuck behind a desk. Q: Tell us about your path to publication and the debut of The Alternative Medicine Cabinet. A: I was speaking to someone about how I wanted to do some public speaking. And they said, “So I assume you have a book?” I realized that if I want to be taken seriously in my industry, be recognized as a national expert, I had to have a publication. I assembled a lot of the articles I had written and projects for school and there was created The Alternative Medicine Cabinet. I had heard horror stories about traditional publishers taking 16 to 20 months for publication and changing everything to the point where the book didn’t even seem like your own. I just decided to self-publish with a company that my husband and I had found, Infinity Publishing. I’m very proud of the book and it was turned into a TV series and has won two literary awards. It’s a perfect primer for people who are interested in learning about natural health and a great reminder for those already have a background in it. Q: Congratulations on the television series! How did that come about? A: That was kind of my plan all along. I had done a guest spot on Lifetime Television’s The Balancing Act, and one of my friends said, “Hey you were so great on TV, you should have your own TV series. You should call it The Alternative Medicine Cabinet.” I wrote back and said that’s the plan, that’s what I’m headed towards. I decided to find some of my old production contacts and met with them in Los Angeles. I pitched my show idea to them and about 30 seconds in the woman in the group stopped me and asked me multiple questions and explained to me why the TV show would not work. I was definitely discouraged and I think it was the slowest drive I’ve ever taken back from Los Angeles to Santa Barbara. I just didn’t think I had it in me to do all the legwork she suggested to even get a meeting with a producer or a sponsor, etc. However, a few weeks later an old murder mystery friend said he wanted to pitch my show to a network. We did, they loved it, and the rest is history. It has still been a very long process and the show is not yet on the air. Hopefully any month now. One of the reasons the show got picked up was because of my background as an actress I could convey the information in a fun, down-to-earth, informational way and that doesn’t sound stilted or too formal. Q: You’ve written two other books as well. What are their titles, and was the publication process the same as the one you had for The Alternative Medicine Cabinet? A: The other two books are both on stress; Body-Mind Therapies for the Bodyworker was the first one, which I wrote specifically for other people in the health industry. I wanted to teach them what I learned through my massage practice about the connection between the body and mind. A lot of it was based on my dissertation for my PhD. Then I decided to do a version for the general public. Conquer Your Stress with Mind-Body Techniques was released last year and just won a finalist place for the USA best book awards and was voted one of the top 50 reads for 2013. Very proud of the book. And have found that I have educated thousands of people about stress, how to control the stress response and the power of their own minds. And yes, I also used Infinity Publishing to self-publish these books as well. Q: What have you learned about being an author that you didn’t know before you started? A: It was actually easier than I thought. The thought of sitting down to write a book is really intimidating and somewhat terrifying. What I found to be the biggest challenge is the marketing component of it. I remember the questionnaire in ninth-grade where we were asked if we wanted to read a book, write a book, or sell a book. And I remember pondering that and thinking I want to do all three. I’ve learned I don’t actually want to do all three. I don’t want to have to sell the book. However, to me, the point of writing the book is to get in people’s hands and I will spend the rest of my life marketing and promoting my books and myself as an expert. Q: How did you become an expert in so many different areas? A: A few different reasons. One of which is I’m an incredibly curious person. And I love medical knowledge. This has led me to take an enormous amount of continuing education that isn’t even required for my field. Currently I’m in a hypnosis for pain management course. I’ve done dozens of courses through Harvard, some in person, some online. I just eat up the information and I retain it and am able to parrot back to my clients in a way that they understand. I also feel I am providing them with the service by helping them decipher what Western medicine is telling them. It also is in the interest of helping my clients. The more I know, the more I can help them. I just want to keep learning and learning. Q: There’s clearly no shortage of health and wellness books on today’s market. What would you say differentiates your own titles in this field? A: I think it’s the down-to-earth way I write the books. I try not to use crazy-big words; I incorporate humor, a light and a very casual way including asides and smart aleck comments. I put a lot of personal experiences or client stories in, which everyone really loves. People say that reading my books sounds as if I’m reading to them. I love that because I actually do dictate a lot of my work. I want it to be accessible to the general public and not a stilted book that is over their heads. I want to be able to reach the masses and give them the power that they can make changes in our lives. My books do that. Q: It’s often said that teachers learn as much from their students as the latter learn from them. What have you learned from the clients that you have consulted individually or through workshops? A: Wow, that question could fill an entire book on its own! One of the most important things I learned from a client was about the mind-body connection. I tell the story in my books, but the gist of it is she was experiencing hand pain and the massage and traditional treatments were only helping so much. When we discovered there was a holding onto of emotion, the pain went away and she was able to become 100 percent healed. I truly believe had she not discovered that emotional connection, she never would’ve had full and complete healing. Because of my clients I’ve investigated different illnesses, diseases or prescriptions, which have helped me and my own family or other clients’ lives. I’ve learned patience. I learned tolerance. There are clients that can be very difficult and I’ve had to work around my own stuff to deal with them. And all have come out very positive. Frankly, one of the most fascinating things I’ve learned about are several different religious beliefs. I have clients of all walks of life and it’s fascinating for me to hear about different belief systems and their life stories and experiences. Q. What role does meditation play in creating a more harmonious life and mindset for oneself? A: It’s so easy to go through our lives mindlessly. We see that on the freeway when we suddenly “come to” and realize we don’t know if we’ve passed our exit or haven’t gotten to our exit or showed up to work on a Sunday. Staying in the present moment is one of the keys to better health. Meditation can help with that. I am not a good meditator. I talk fast, I walk fast, I want to be moving at all times and it’s hard for me to shut off my brain. To tell me to sit on a pillow and relax my body and quiet my mind is very difficult for me. I do mini meditations, which I’ve taught to thousands of people over the world. That consists of simply concentrating on your breath and on the inhale thinking “I am” and on the exhale thinking “at peace”. This is been one of the most useful things to me, and when I find I’m getting sucked into a stress response I do this. Sometimes I need a reminder but I’ve been doing it enough that I can pretty much direct myself to do it when I need it. It is one of the best tools I’ve ever learned to help with stress and creating a harmonious life and mindset. A: Go for it. It was my motto in high school and it stands true today. I see so many people envying another person’s life or saying, “I want to do that”. People say that to me with the trapeze or the way I live my life. And to me you have to just go for it. You can’t live vicariously through another, you have to take the opportunities that you can and live life to its fullest. So it’s pretty simple. Go for it. Q: What do you hope to give others through the combined elements of your therapeutic massage practice, your books, and your upcoming TV show? A: I want people to reclaim control of their lives. I want them to know they have other choices and I want them to know that they have the ability to make changes in their lives. That can be really difficult and scary but we all have that ability and we have to take advantage of the right that we have to choose different things and to really regain control of our lives. I’m really big on options. And many people don’t think they have options. We don’t always have the greatest options, but they’re always there. We have to make the best choices we can. This is why I put so many different modalities into my stress books. It’s a buffet of options and if one doesn’t work for you, you simply choose another or another five. Q: With a full-time practice – coupled with speaking engagements and writing – what do you do for fun if/when you have time? A: Oh I definitely make time for fun. My husband is a wine, food and travel writer so he and I do many events involving fabulous food and great wine. Myself, I’m still obsessed with dance from when I was about five years old. So I do hip-hop dance classes three or four times a week. And my new passion and my new obsession is flying trapeze! I drive down to Santa Monica pier and I take a two-hour flying trapeze class and then I spend the evening at the Magic Castle, which is another passion of mine. I’m a total magic nerd and the Magic Castle is one of my favorite places anywhere. So, I still have fun. I wish I had more time for reading. But it just doesn’t fit into my life right now. And we have two adorable little boy cats, which I love playing with and laughing at. A: Everyone assumes certain things about me because I’m in natural health and alternative medicine. I am not vegan or vegetarian. In fact I’m not a huge fan of that as a 100 percent lifestyle choice. I do not do yoga nor do I traditionally meditate. That tends to surprise people. I don’t particularly like the slow New Age music that I play in my office; I prefer music like hiphop, NIN, Godsmack and Korn. That catches people off guard. The trapeze is definitely a surprise to people as is the hip-hop dancing because they assume I’ll be doing yoga. I love NFL football. I am a huge crazy loud screaming Pittsburgh Steelers fan. People don’t expect that from a healer. And I have a mouth like a trucker…especially when I’m watching football. A: Right now I am finishing off a lot of projects that are blooming from the planting I did last year. I’m doing a lot of expert information for radio, TV and articles. I just had a piece on CNN’s website. People are now seeking me out which is fabulous. I am still promoting the three books I’ve already written. I just started an iTunes channel to have some guided visualizations and meditations to help people. And I am going to be writing another book. I’ve started an outline but am really letting that lay there until I have the strong urge to do it. I feel like I’m just working through and enjoying things that I put into place last year. But another book is coming, don’t worry! A: I just want to encourage people to make changes and to go for what they want. I’m not a fan of a bucket list. It makes it out that the things we really want to do have to wait until we’re 80 with a terminal illness. I think we should have a daily bucket list and if there are things in your life that you want to do that you can feasibly do, do it now. There is no time to wait. And no time to waste. We have so little of it and it’s so precious, so take it now. And do your best to get the stress out of your life. It does no good at all. Unless you truly are being chased by a bear. Q: Where can readers buy your books? A: The best place is my website which is http://www.thealternativemedicinecabinet.com. You can also find them on Amazon and all the online outlets. But honestly each individual author’s website is the best place from a financial perspective for them. And it’s easier to track for us.